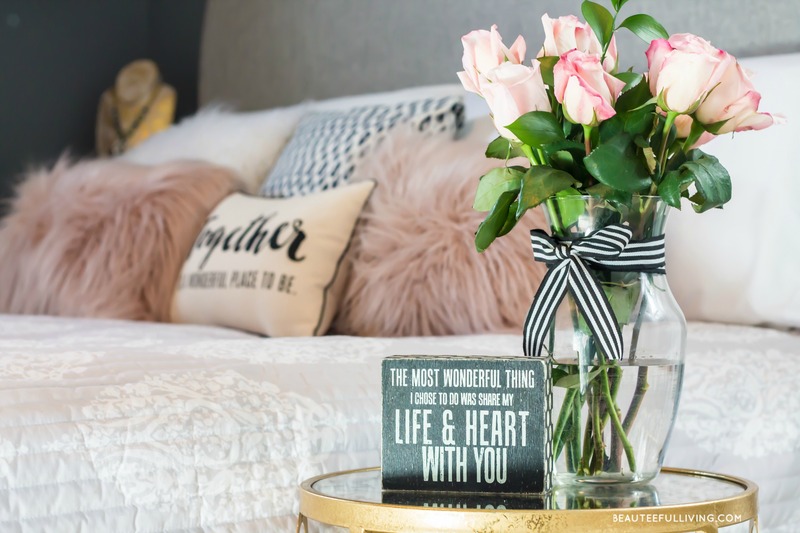 It’s makeover time on Beauteeful Living now that the spring edition of the One Room Challenge (ORC) has arrived! For those new to this blog, I typically participate in this highly anticipated bi-annual event hosted by Linda of Calling It Home. Twenty design influencers are selected to take on this friendly makeover challenge as featured designers. Guest participants like myself can also join the challenge by sharing our process during these 6 weeks. The big reveals will take place May 8th (featured designers) and May 9th (guest participants). Oh… time is ticking away already! Shall we get to the space that I’ll be working on for this spring’s ORC edition? 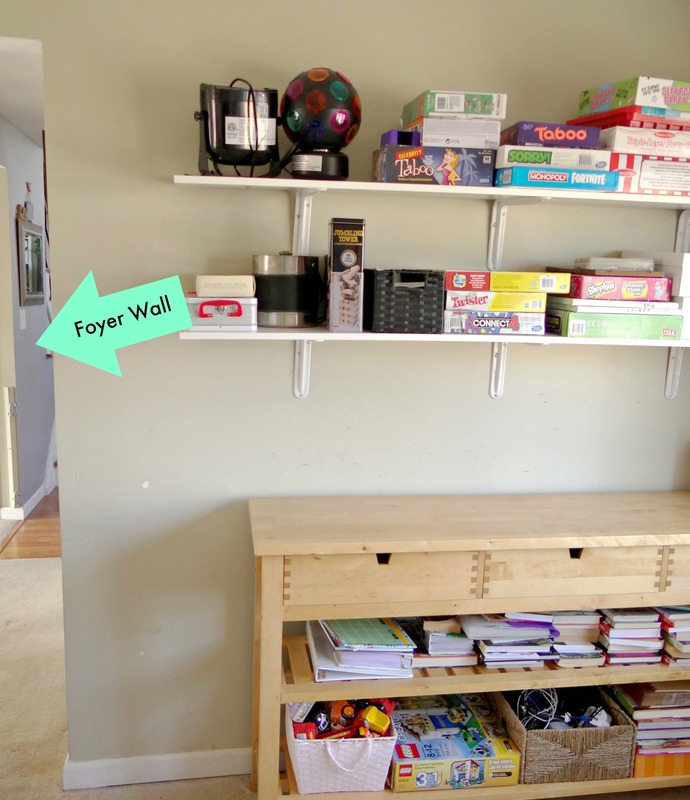 It’s time to “Take Back Our Home From Our Kids!” Okay, maybe not get rid of their entire playroom but I’m reclaiming a part of that space and turning it into a CRAFT room! This space is on the first level of our home, right near our small foyer (see photo below). Between this wall and the foyer lies our guest bath. You may recall last spring’s ORC makeover when I updated our guest bath (link here). Below is a photo of the center wall in this space which I’ll be treating as an accent wall. I love how much light floods this space thanks to the large window in this photo. By the way, I definitely need new window treatments! A very big thank you to Elephant in the Room Design for being a sponsor of my spring 2019 guest participation in the One Room Challenge! I can’t wait to introduce you all to their amazing products! 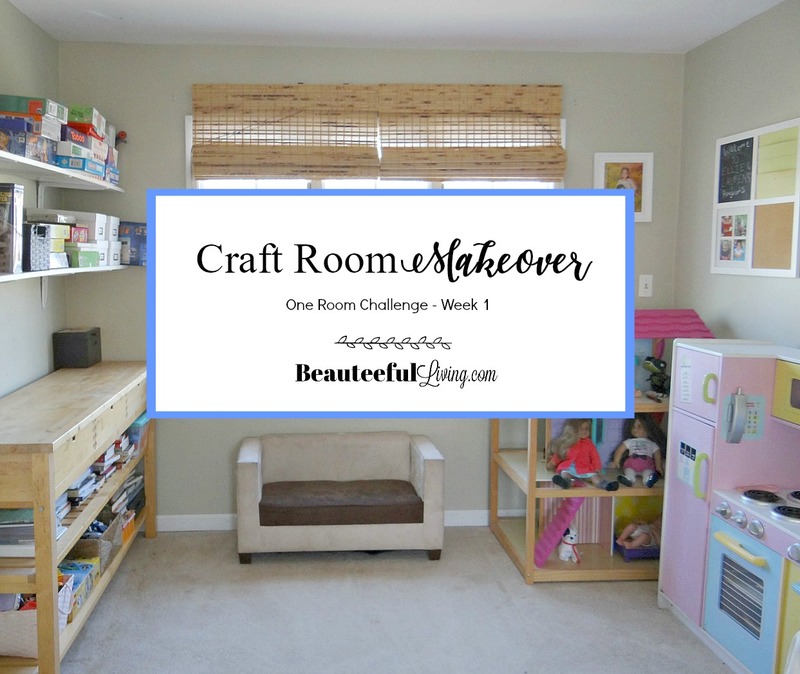 As with my previous One Room Challenge (ORC) makeovers, I’m doing this challenge in Real Time. Next week, I’ll be sharing some inspirational photos as well as a “design board” for my Craft Room Makeover. For additonal content and sneak peeks, please be sure to follow along my Instagram and Facebook accounts. Before you go, please check out Week 1’s posts from the 20 designers here and the guest participants here. 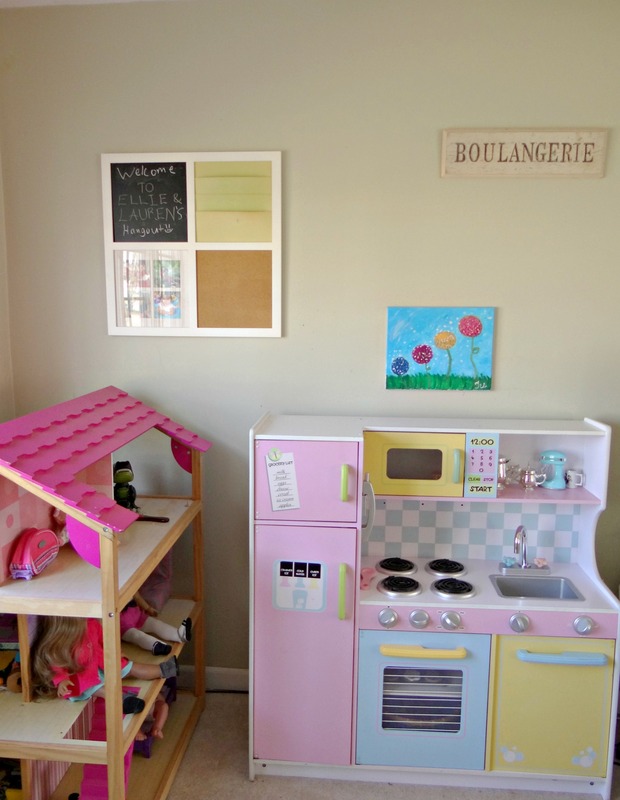 Thank you Linda (Calling It Home) and Better Homes and Gardens for co-hosting this challenge! Any thoughts on this new makeover project? 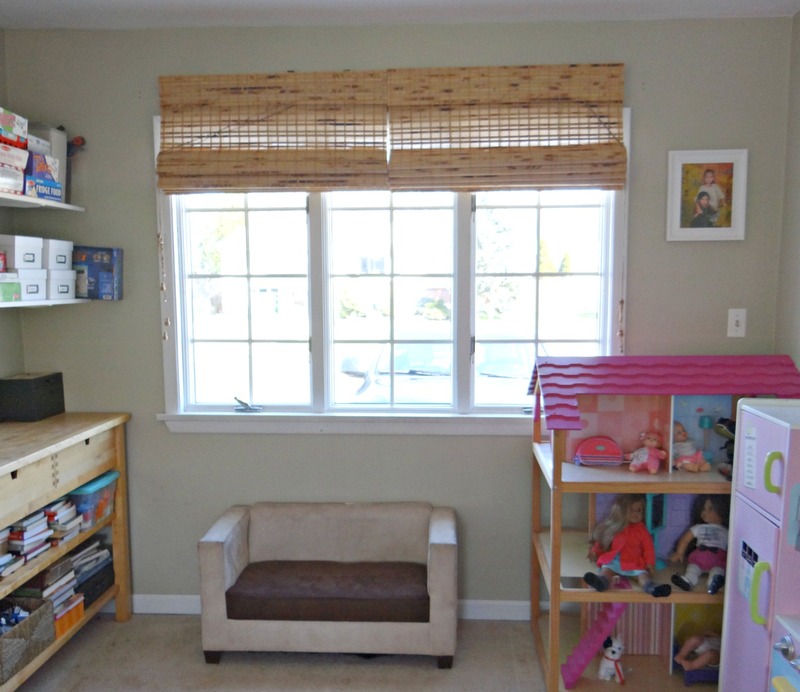 Do you have a craft/creative space designated in your home? I’d love to know! A craft is going to be so fabulous to have. Looking forward to the reveal. Have fun and good luck!. 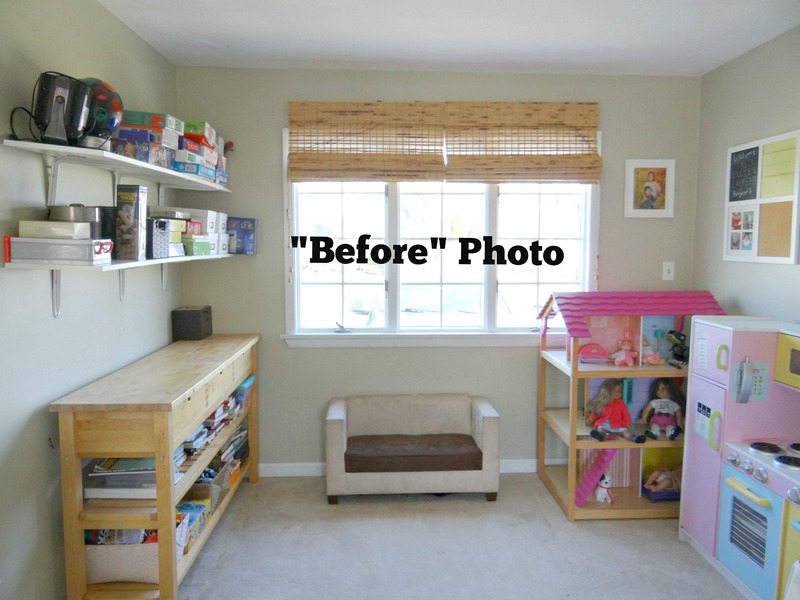 Oooh, its going to be so fun to banish kid stuff and make your very own playroom! Hi Tee. You’re back again! I guess we’re officially addicts :). Best of luck decorating your craft space. Hi, Tee! It will be fun to do the One Room Challenge Together! I can’t wait to see how your space turns out! I am also looking forward to seeing Elephant in the Room Design’s products — I remember visiting their beautiful store together! I have always wanted a craft room! That’s so exciting. Your previous makeovers are really beautiful! So fun! 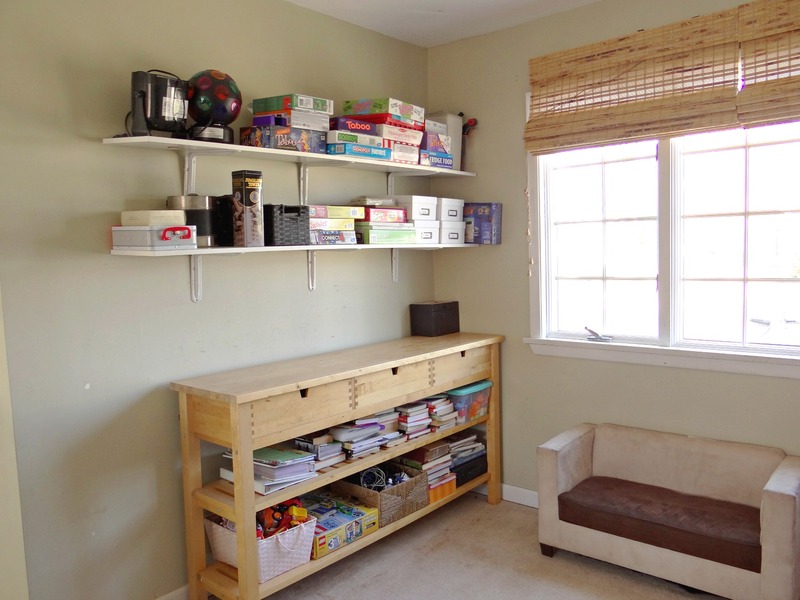 Craft rooms are my favorite – all the organization and pretty supplies just make me…happy! Can’t wait to see. Craft rooms make me so happy! When we bought out house, my husband and I decided he could have the whole garage as long as I got an entire craft room 🙂 I am excited to see it all come together, have fun! This is going to be so fun! I don’t have a dedicated craft space so I love watching other people carve out areas of their homes for their hobbies. Definitely on pins and needles! So exciting! I just have a craft corner, so I love seeing other’s rooms! Oh this will be so fun! I love crafting spaces! What a fun and cute project! It’s going to be fabulous. Can’t wait to see items from this new sponsor. I dream of having a dedicated craft room! Can’t wait to see how it turns out! You have a bunch of great ideas I can not wait to see them all come to light. Good luck!!! So excited! I love a good craftroom! This looks like it’s going to be fun!